by Andy Higgs in Features, Home, Middle East, Oman, Places. Almost 18 months since the protests in Tunisia set off a chain of events which became known as the Arab Spring, each of the affected countries in the Middle East and North Africa is facing its own challenges and opportunities. Many of these countries were heavily reliant on foreign visitors and statistics show catastrophic falls in tourist numbers of up to a third following the huge political changes. One of the consequences of such a decline is billions of dollars in lost income, but with the situation in many countries in the region now stable travellers are again considering spending time and money on a summer holiday in a post-Arab Spring country. This series of articles will examine the prospects for travel to destinations which were popular in pre-revolutionary times as well as a couple of places that may have been off the radar but could be worth considering for your next trip. Safety is paramount and will be given first priority – we will relay the latest travel advisory information we have from reliable sources at the time of publication but naturally situations can change and ultimately it is up to each potential visitor to decide whether the benefits outweigh the potential risks. We have not included Syria for obvious reasons. When peace returns – as we hope it will before too long – we will update this series. So far in this series we’ve been to Egypt, Tunisia, Morocco, Jordan and most recently Lebanon. This time around it’s the turn of a relative newcomer – Oman. As in the rest of the region, there were demonstrations in early 2011, with protesters demanding a better standard of living and the introduction of reforms. The country’s ruler, Sultan Qaboos bin Said, increased the minimum wage and made changes to his cabinet. Along with some other reforms these measures seemed to appease the majority of protesters and Oman was largely unaffected by the Arab Spring. Oman is expecting some two million foreign tourists in 2012. 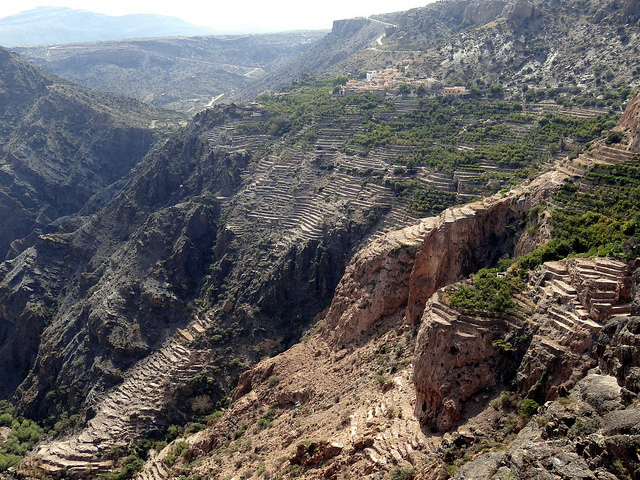 Tourism was made a priority in 2011, but Oman is taking a different approach to its neighbours. Instead of ploughing oil money into huge shopping malls and record-breaking skyscrapers Oman is building opera houses and laying gardens. The country is being transformed into a Mediterranean style destination and communications are being improved to meet the ambitious target of welcoming 12 million tourists in 2020. The government is directing its efforts on attracting high-spending visitors to Oman and developing tourism in a sustainable manner to deliver tangible benefits to local communities. The British Foreign Office currently has no travel restrictions in place for Oman. As a result of the spontaneous protests in 2011 visitors are advised to maintain a high level of security awareness and to exercise caution, particularly in public places and on the roads and to avoid large crowds and demonstrations. It warns of an underlying threat from terrorism in Oman. Attacks, although unlikely, could be indiscriminate, including in places frequented by expatriates and foreign travellers. Terrorists continue to issue statements threatening to carry out attacks in the Gulf region. Tourist arrival numbers continued to grow despite some visitors staying away during the height of the Arab Spring. All tourism-related projects remained on track and it was in fact outbound travel which was worst hit in 2011, as Egypt, Syria and Yemen are all key destinations for residents of Oman. 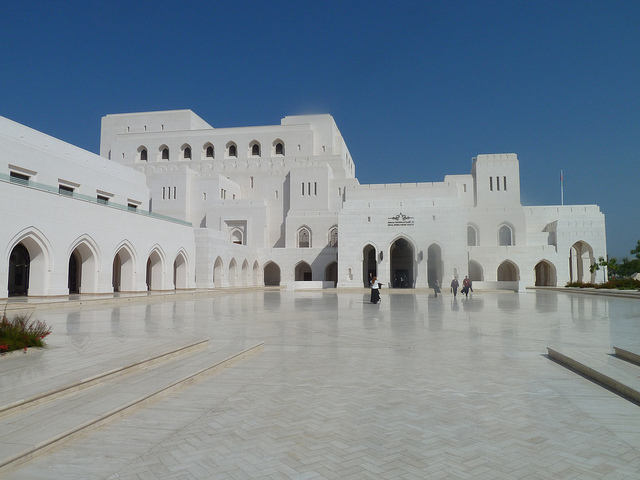 The capital city of Oman, Muscat, is usually the first stop for tourists and is rapidly becoming something of a cultural playground for visitors. Venture into the Sharqiya Region and you’ll find a number of Oman’s main attractions such as the dunes of Wahiba Sands, the gorgeous beaches of Sur and the turtles of Ras Al-Jinz. It’s worth exploring the lesser-travelled areas too though – at the moment group travel is in its infancy in Oman and you’ll have the desert pretty much to yourselves without having to drive for hours. The country has a diverse landscape including mountains, deserts and 1600 km of coastline making it perfect for outdoor enthusiasts. Scuba divers will enjoy the variety of underwater flora and marine life – several companies specialise in diving courses and activities and rent out equipment. With mountains rising to 3,000 metres, spectacular cliffs and deep canyons, rock climbers will be in their element in Oman. Trekking is another big reason to visit – especially in the highlands where the climate is cooler and perfect for exploring on foot. Camel racing is a popular sport and it’s well worth asking around to find out when the next event is taking place. Another unusual spectator sport in Oman is bull fighting – but this is not the Spanish version. Here two bulls of the same size face off and the first one to get knocked down or run away loses the competition. Fight last only a few minutes and the bulls leave unhurt apart from a bad headache and maybe a little wounded pride. For something more participatory, horse riding and game fishing are both popular in Oman with Sur and Masirah being especially suited for the latter. 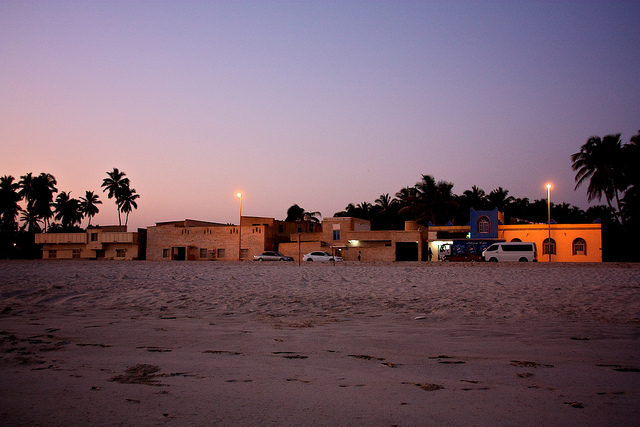 Most forms of sailing can also be enjoyed in Oman, and the beaches of Ras Al Had ,Ras Al Junayz and Masirah island offer another unique attraction – turtle watching. You’ll need a permit so it’s best to go with one of the local operators who offer tour packages and take care of the formalities. Omani food is simple but delicious, with a variety of spices creating unique flavours. Yet unlike many cuisines in the region the food is not hot despite liberal use of herbs, garlic and onions. Oman may just be the best kept secret in the Middle East. It is safe, its people are friendly and the landscape is breathtaking. Given the push being made by the tourism department it is unlikely to remain a secret for long, so we wholeheartedly recommend getting there before everyone else. Are you considering travel to Oman? Do you think it’s too dangerous? Use the form below to send us your comments on this article and don’t forget to sign up for email updates!